If you have time for your personal life, your professional work and the many emails, phone numbers and separate accounts in social networks, you may have trouble using multiple user accounts on a mobile phone are familiar. But now a much simpler way to do it there. Many services and social networking sites such as Gmail, Instagram, Twitter and even Facebook Messenger, allowing simultaneous use of multiple accounts have added to their official applications. But the service and other social networks, including cable , which is still officially the ability to manage multiple user accounts to users not. Fortunately fix the cable is much easier than other apps like WhatsApp or Facebook. Of course, we in fact have two options for using multiple accounts telegram on a phone you learn that the latter can use for other applications such as WhatsApp and Facebook. One of the great goodness cable applications, open source (Open Source) as it is. 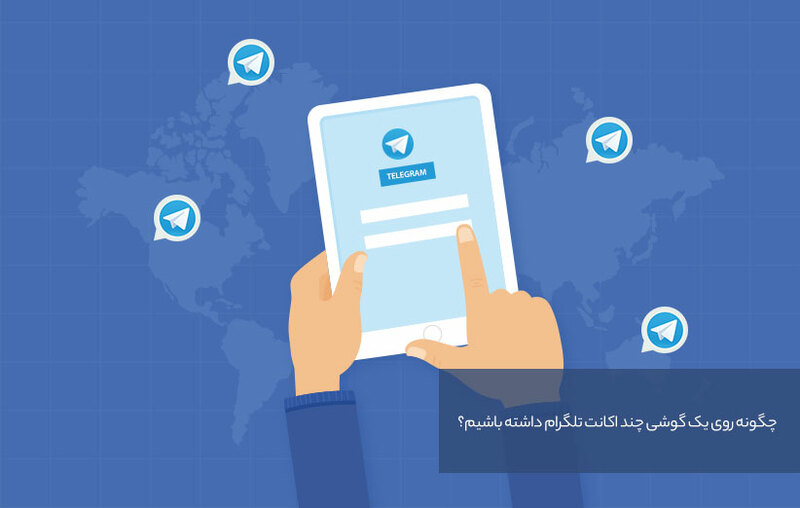 That’s why in addition to the official telegram applications, a relatively large number of different applications produced and published by other developers. Each of the different applications and features its own cable facilities that is not our subject here. The point is that different applications can use this app in the original telegram to manage multiple accounts on one phone time. So you can install applications such as Mvbvgram , Ngram and Plus Messenger for Android or Telegram and Ytlh for iOS, a phone cable have two or more accountss. Do not forget the account because the telegrams need is a mobile number, it is necessary to have multiple accounts, you have several SIM cards. The second solution is to use special applications to run two or more versions of an app designed unit. This solution may simply not be the first solution, but it is good that it can Telegram addition to any other apps like WhatsApp, Facebook, Spotify and more. Some companies like Huawei have this feature by default on their phones. However, if your phone does not have this feature, it’ll always take advantage of special applications. Parallel Space allows Android users a copy of the original application telegram (or other applications) to prepare and to enter a new account. This allows you to have two copies of an application run on a phone together. It is also possible to change the code in the new versions, support of telegrams or other applications at any time be in trouble. Naturally, this method accounts for the number of telegrams to the SIM card will be required.